More results from your current website or campaigns? We offer you a free marketing scan. This marketing scan will provide you information about your website, your campaigns, technical aspects and content aspects. With this scan, you have a detailed report which tells you how and where to optimize your website and campaigns. 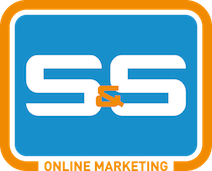 Provide us your domain and focus keywords, and we will perform a free online marketing scan within 24 hours! Fill in the form on the side of this page, email us at info@marketingcompany.ae or call: +31 36 3030061.